Nothing beats a tasty, home-cooked meal – unless, of course, you’re eating at Margaritaville Caribbean. We’ll out cook your parents any day of the week. Sorry Mom and Dad, but when you combine American classics with the delicious flavors of Jamaica, it’s a recipe for victory. Don’t believe us? Here’s a little taste of our restaurant menu. Let’s start with the basics. If you’re after a blast of Caribbean spice, then you have to try the Volcano Nachos. Crispy tortilla chips topped with jalapeños, chili, tomatoes, and scallions are ready to blow up your taste buds. Don’t worry if you can’t take the heat, these nachos come topped with cool guacamole and sour cream. If you’ve got room for more, order up a plate of Lava Lava Shrimp – plump, succulent, golden-fried shrimp topped with delicious Asian aioli sauce. We’ve got a feeling these appetizers taste a bit better than Mom’s green bean casserole. No offense to Dad’s secret burger recipe, but our sandwiches are in a league of their own. Just take a look at the Blackened Chicken Sandwich. A juicy, tender chicken breast glazed with our blackened seasoning blend, topped with Monterey Jack cheese, and served on a warm, brioche bun – need we say more?If you prefer beef to bird, we’ve got you covered with the legendary Cheeseburger in Paradise, a classic burger coated in melted American cheese that just might be the closest to heaven we get in this world. 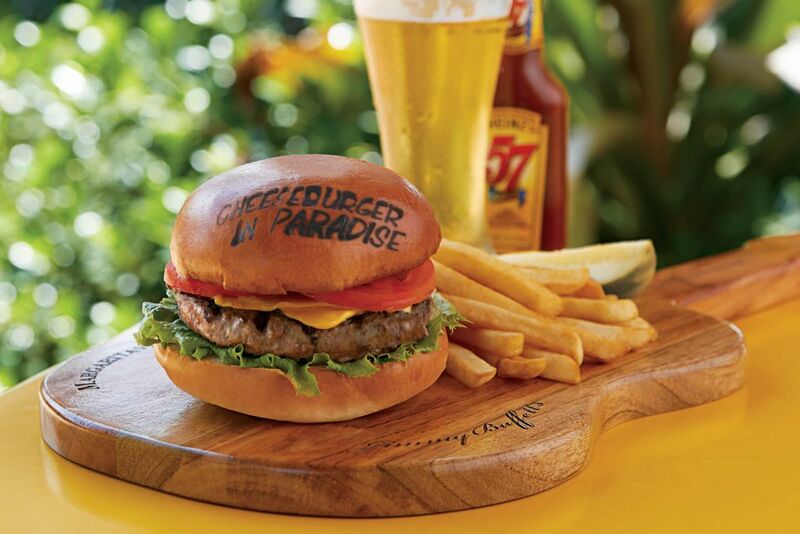 Each sandwich comes with Margaritaville’s signature seasoned fries. Try finding those in your kitchen! Our culinary conquest even spreads to dessert. 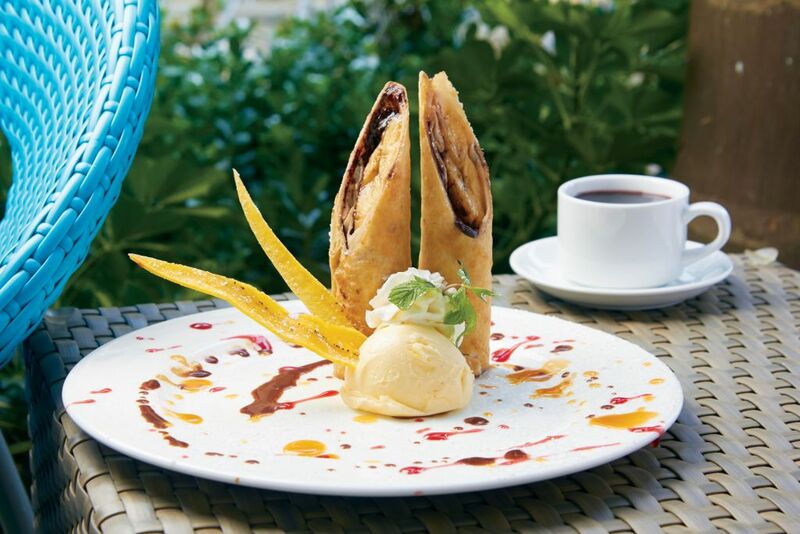 Sink your teeth into the towering Bananarama, a fried tortilla-wrapped banana, drizzled with hot chocolate sauce and served with a refreshing mound of vanilla ice cream.If that doesn’t stuff you, then the decadent Rum Cake or Flourless Chocolate Cake will seal the deal. And you can’t go wrong with our sweet and creamy Key Lime Pie, a mandatory meal at Margaritaville. Don’t get us wrong, everybody loves Grandma’s cookies, but her mainland desserts just can’t compete here. Still don’t believe us? There’s only one way to know for sure! Put your money where your mouth is and visit one of Margaritaville Caribbean’s gorgeous restaurants. From Montego Bay to Negril, there’s no better restaurant in Jamaica. Mom and Dad can come too. No hard feelings, right?